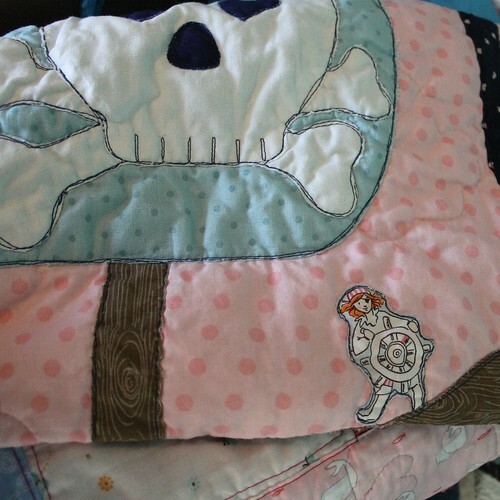 A friend recently asked me to make a Princess Pirate Quilt for his niece. I said yes, please. A great opportunity to use Sarah Jane Out to Sea before it disappears (goes out to sea?). 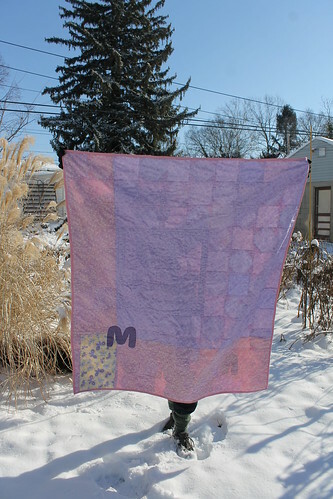 There is also a lot of Aneela Hooey A Walk in the Woods fabric in there. 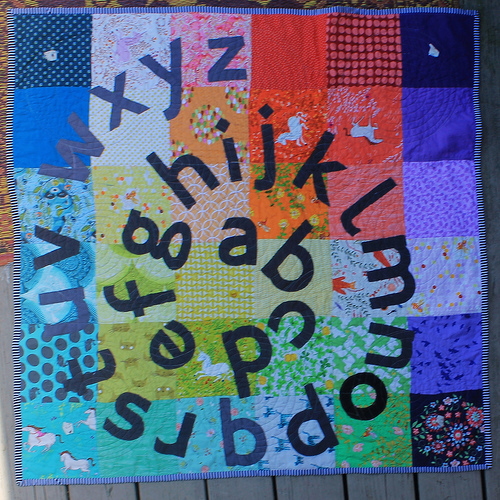 I love doing special applique quilts and I LOVE kids quilts that let me just have fun with bright colors. 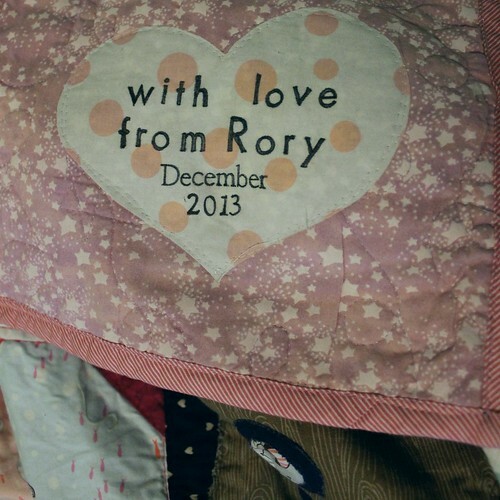 This quilt is very PINK! 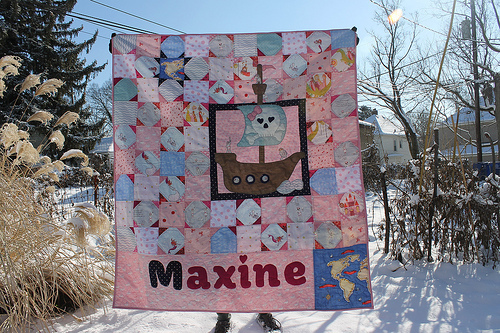 I swear I used a lot of blue fabric – or I thought I did – but the pink outshines everything else. I used my Monogram Quilt Block Tutorial to make the letters. 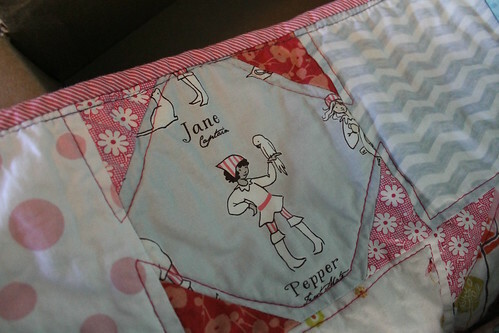 I appliqued on a big pirate ship and the put little fussy cut pirates from the Sarah Jane fabric all over it. 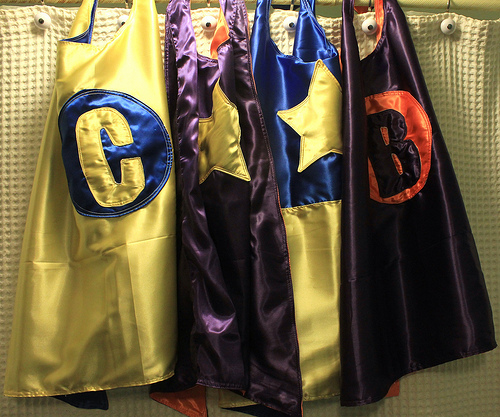 I use fusible applique (Wonder Under by the bolt!) 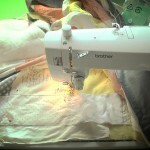 and then sew it down with a straight stitch at the quilting stage. 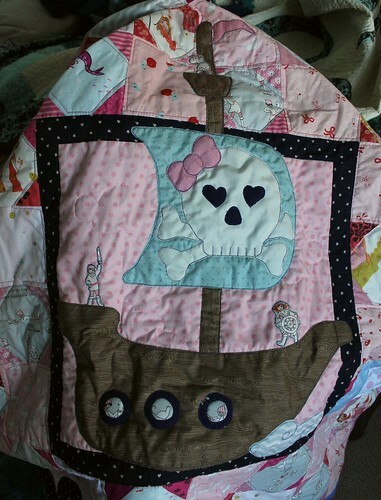 So yes, there is a pirate ship outline on the back of the quilt. It’s not noticeable. I thought about binding it in blue to de-pink it a bit, but fell in love with this binding that perfectly matches the clothes the little pirate girls are wearing. 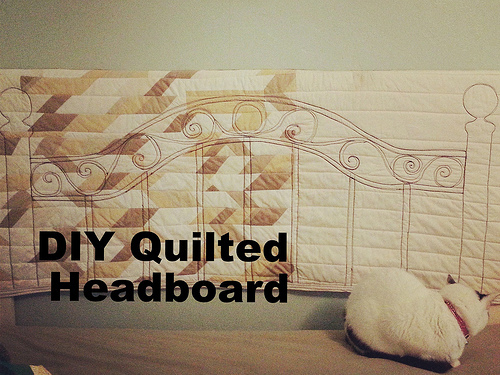 Also, this quilt is very poofy. I used 80/20 batting because I wanted it to be poofy, but gee, it’s poofy. 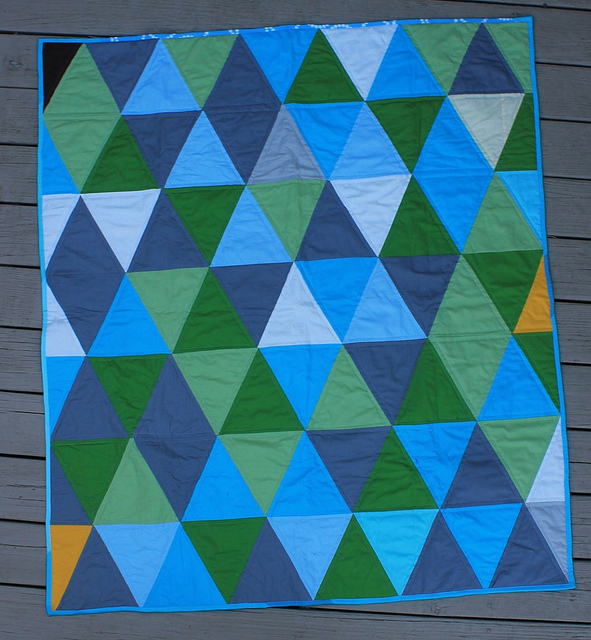 Perfect for a toddler quilt. I used a fabric marker to color some of the little pirate girls hair orange because my friend’s niece has red-hair. I used stamps to make the label, partly because my embroidery machine is now really just not functional (SAD TIMES!) and because I do like the way stamps look. Especially on a pirate quilt! And one last shot of my husband’s rubber boots. Thanks for holding it out in the snow! I don’t have a picture that captures this, but the thread on the back is metallic. I was very excited about purple metallic Sulky thread, but it kept breaking in my top thread. BLERGH. I got the idea to use it as a bobbin thread and it looks great. 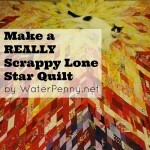 I had heard that from Art Quilters and they are a smart bunch, eh! I should listen up more often when smart quilty ladies are talking. I really like the stamps you used for the label! Did you make them yourself? The stamps are just from Joann’s I think. Nothing fancy. argggghhh matie. ya be doin the kwiltin world fine with this samplin of pirates booty! I made the pattern up but the design of a bow on a pirate skull is very popular among pirate princesses!